As a keynote speaker, consultant, teacher, and writer, Molly Birkholm inspires others to create meaningful life changes worldwide at conferences, retreats, online courses, and yoga and meditation teacher trainings. Using research-based yoga and mindfulness meditation techniques, Molly’s stress management programs, resiliency training, and trauma treatment programs are used by leaders and top organizations around the world, including the U.S. Department of Defense, the American Psychiatric Association, and the Young Presidents’ Organization. Molly is a featured teacher for Yoga International, offering many online classes, lectures, and workshops through their online learning platform. 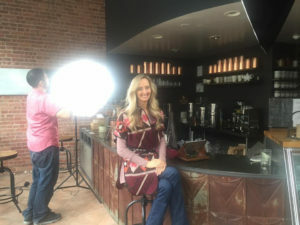 Soon she will launch a year-long Women’s Empowerment Initiative in partnership with Yoga International (www.yogainternational.com). As a co-founder of Warriors at Ease, Molly helped pioneer evidence-based, trauma-sensitive yoga and meditation programs for PTSD in the military and other communities affected by trauma, including human trafficking survivors, people in recovery, homeless, youth, prisoners, and refugees. She has conducted innovative clinical research with the National Institutes of Health and Department of Defense on these protocols. She has shared evidence-based yoga and meditation with well over 10,000 soldiers and veterans. To date, Warriors at Ease has trained more than 800 teachers who work at more than 65 military bases and VAs, serving hundreds of thousands of soldiers and veterans in all 50 states and more than ten foreign militaries. Molly’s work with veterans began as full-time yoga and meditation teacher for the Department of Veterans Affairs. In addition, Molly actively supports human trafficking relief advocacy and education work through the non-profit organization Courageous Girls (www.courageousgirls.org). The work bloomed through collaboration with the film SOLD (www.soldthemovie.com), starring Gillian Anderson and created by Academy-Award Winning Director, Jeffrey Brown, IMPACT Producer, Jane Charles, and Executive Producer, Emma Thompson. 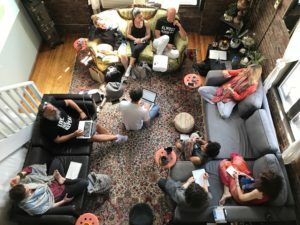 Each year, Molly offers one retreat that is open to the public and also teaches several privately arranged retreats at beautiful locations around the world. As an iRest Yoga Nidra (Integrative Restoration) Teacher Trainer for the Integrative Restoration Institute (www.irest.us), she offers two teacher trainings each year. In addition, she teaches the Warriors at Ease Teacher Training on Trauma-Sensitive Yoga and Meditation (www.warriorsatease.org). She also offers smaller customized teacher trainings in trauma-sensitive yoga and meditation for teachers, mental health practitioners, and other health care providers. Previous clients include the City of New York homeless program and mental health organizations. Molly has four iRest Yoga Nidra guided meditation CDs for healing trauma, sleep, pain relief and daily living, as well as a Sivananda Yoga and iRest Yoga Nidra DVD filmed at the Kampong National Tropical Botanic Garden. In her local community, Molly is the co-founder and co-owner of the Yoga Center of Key Biscayne, a yoga center where soldiers, veterans and military families practice yoga free of charge. Molly’s sincere belief in post-traumatic growth started with her own personal experience with trauma. She began practicing yoga to heal her own PTSD after a near-death car accident in Manhattan in which her cab driver was killed. Four years later, she left her career in investment banking for travels and studies throughout Asia at ashrams and monasteries. She became an Advanced Sivananda Yoga Teacher through the Sivananda Yoga Vedanta organization and formerly served as the Director of Yoga Programming and Yoga Therapy for the Sivananda Yoga Retreat on Paradise Island, Bahamas. 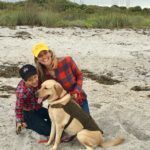 Originally from Chicago, Molly now lives in Fort Lauderdale, Florida with her son Santiago and their yellow Labrador, Cleo. You can find them sailing, snorkeling, paddleboarding, traveling, hiking, cooking, and (of course) practicing yoga and meditation.